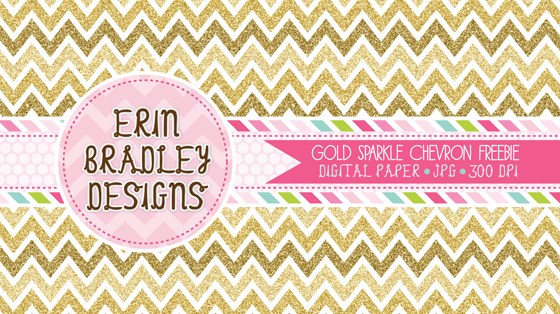 Erin Bradley Designs: Gold Sparkle Chevron Stripes Freebie! Gold Sparkle Chevron Stripes Freebie! New freebie on my website today! This is for one 12" x 12" JPG digital paper, saved at 300 dpi. It is made of sparkly gold chevron stripes. I thought it would be fun for the holiday season!